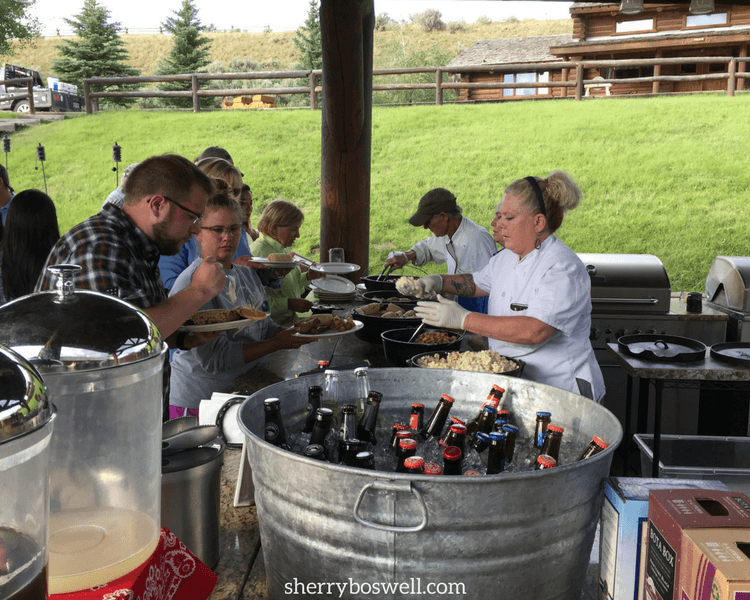 At Goosewing Ranch in Jackson Hole, Wyoming, we pride ourselves on many things, and one element guests continue to praise is our outstanding food. When staying at a dude ranch, guests have had an activity-filled day, often spent horseback riding. So naturally, everyone works up an appetite! We’ve got the menu covered with diverse offerings and made-to-order entrees that are sure to hit the spot. 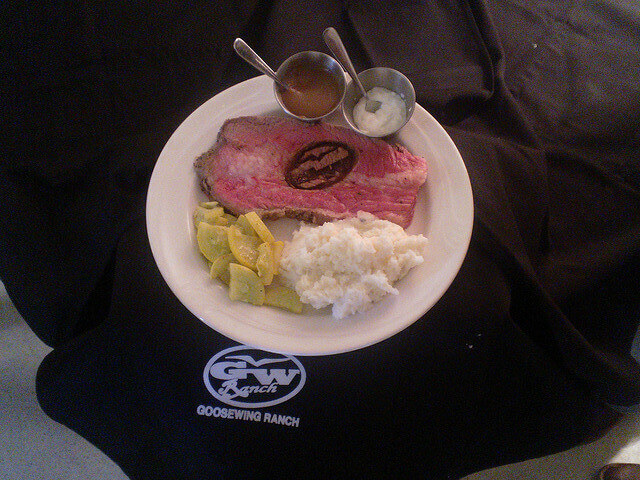 With all the activities to do while on vacation out West, dude ranch guests develop an abundant appetite. 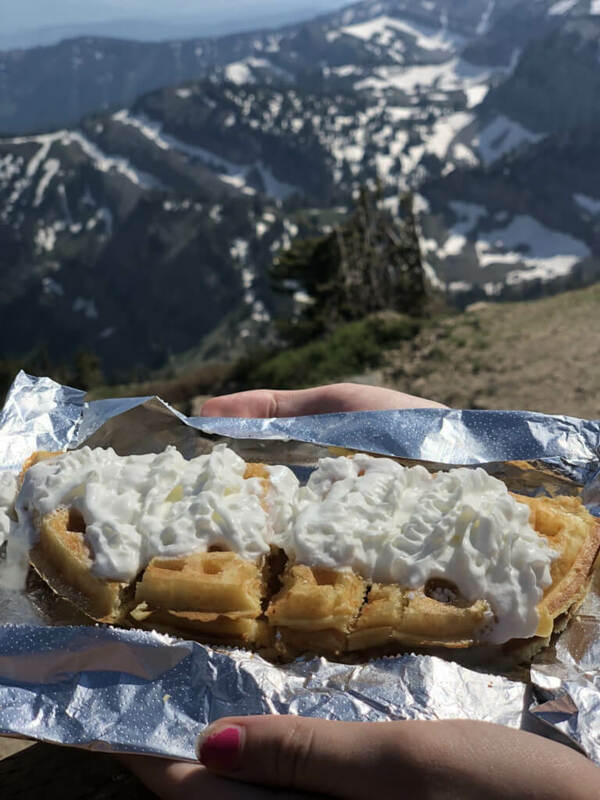 From hiking in the Grand Tetons, touring through Yellowstone National Park, and horseback riding in the mountains surrounding Goosewing Ranch, you will enjoy the delightful meals being served. Most meals are served family style in the Main Lodge where we have 3 chefs on staff. Our outdoor kitchen and dining area is a wonderful place for all to enjoy meals and family time. The outdoor dining area features a wood burning oven, covered seating, lighting, and propane above head heaters. 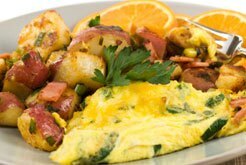 Breakfast is complete with eggs cooked to order, bacon, sausage, pancakes, French toast, and daily specials. In addition, there is a continental buffet with cereal, fruit and homemade pastries. 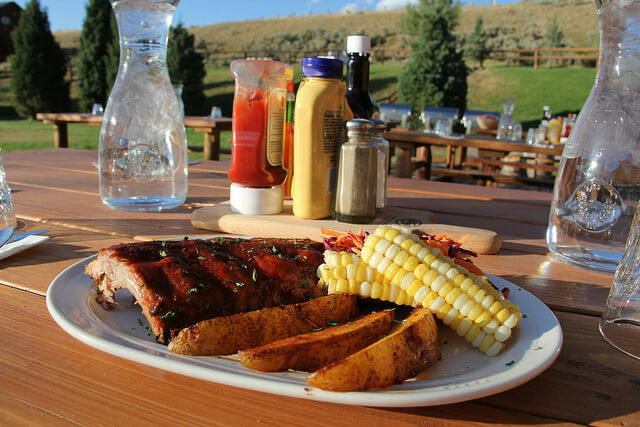 Lunches are usually trailside picnics, but hot lunches are also prepared if you decide to stay at the ranch during the day. We can also provide picnic lunches if you would like to go off on your own for the afternoon. Picnic lunches are your choice of deli sandwich, chips, fruit, granola, and cookie. Dinners are themed, and can include Prime Rib Night, Southwest Night, French Night, Cowboy Night (steaks), and Angler Night (trout and salmon). Depending on the cuisine, meals may be served plated or buffet style. Once a week we do an open fire cookout in dutch ovens. Enjoy an evening under the stars with friends and family while enjoying entertainment! We encourage families to be together, but will be offering a kids’ cookout and adults dinner throughout the week. Dining options for dinner include at least two main entree options, a vegetarian option, gluten free option, and a kids’ option. 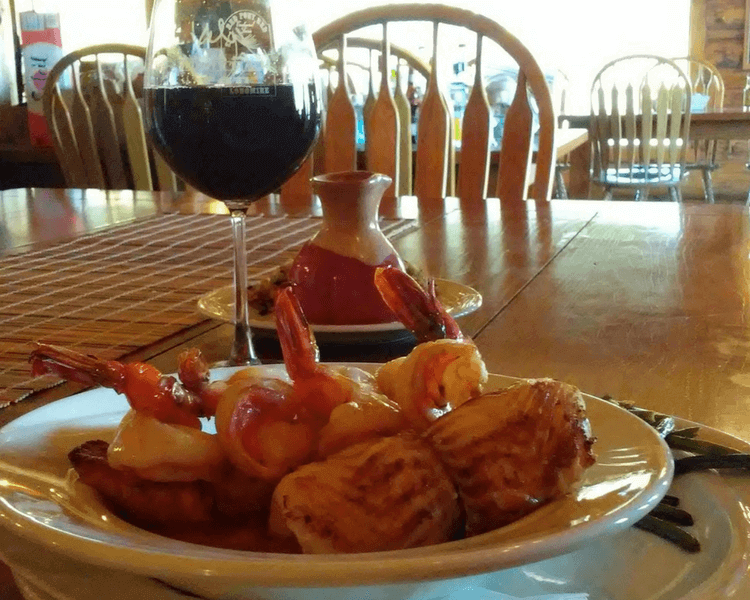 We can accommodate dietary restrictions with advanced notice. Chef Clint will be serving up some amazing cuisine from basic ranch style food to more gourmet meals. 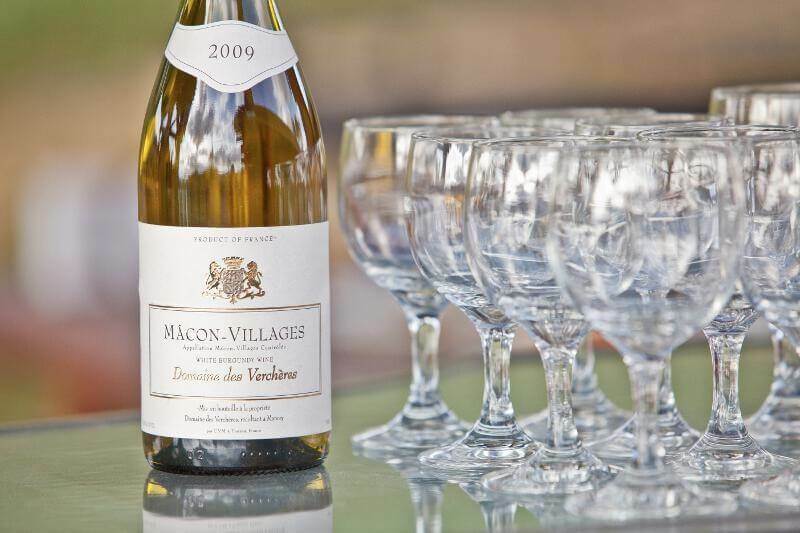 We are pleased to offer a variety of wines from France and South America in keeping with both the French heritage of the area and the owner of the ranch. We are dedicated to giving you the best value possible, and our prices reflect that. Wine by the bottle is offered at retail price, while wine by the glass echoes restaurant price. We would be more than happy to stock a special bottle of wine for you to enjoy during your stay if you let us know before your arrival. “The people are so friendly, very knowledgeable the wranglers were very helpful and took care with everyone. If you went away hungry it was your own fault, Clint, Paula and staff did an excellent job. The scenery was amazing and sometimes breath taking. Would recommend this spot to everyone young and old.”-Michael J. Read more of our ranch reviews to start planning your dude ranch vacation. 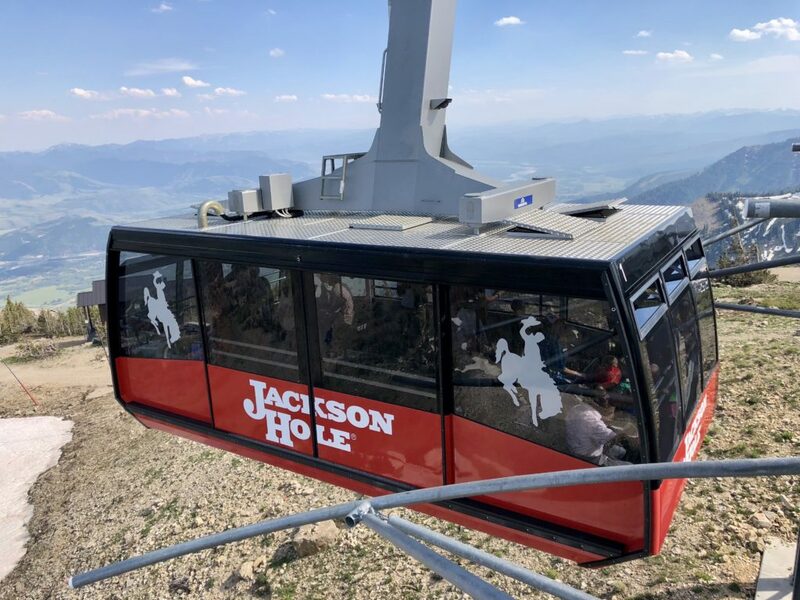 One of the most memorable experiences while visiting Jackson Hole and Grand Teton National Park is a wildlife tour. We recommend wildlife safaris because guests will learn so much more about the national park’s history, wildlife, and the area than if they had driven through on their own. 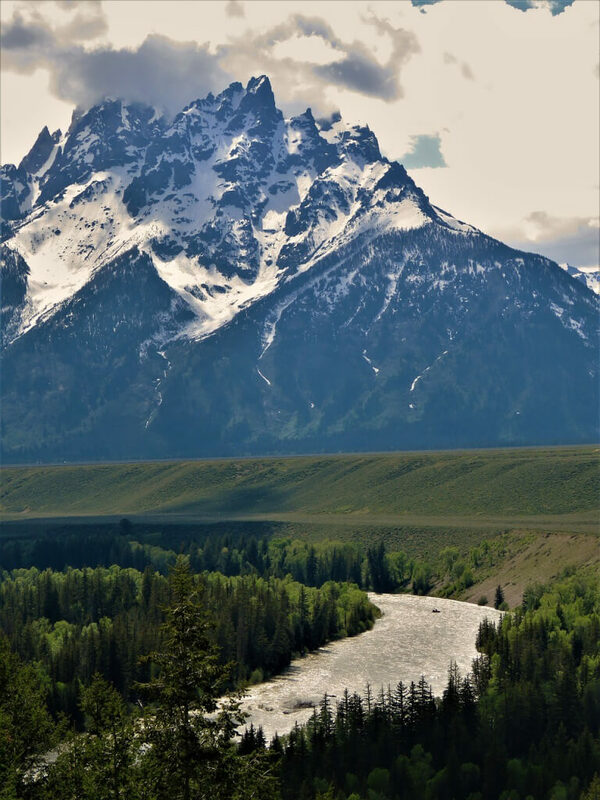 When in Jackson Hole, we highly recommend exploring Grand Teton National Park. And one of the most memory making ways is to do a wildlife safari. These guided tours give guests a wonderful way to learn about the natural history of the park along with sightings of its wild residents. Plan for at least 3-4 hours minimum touring time as well as travel time from the departure location for partial day tours. 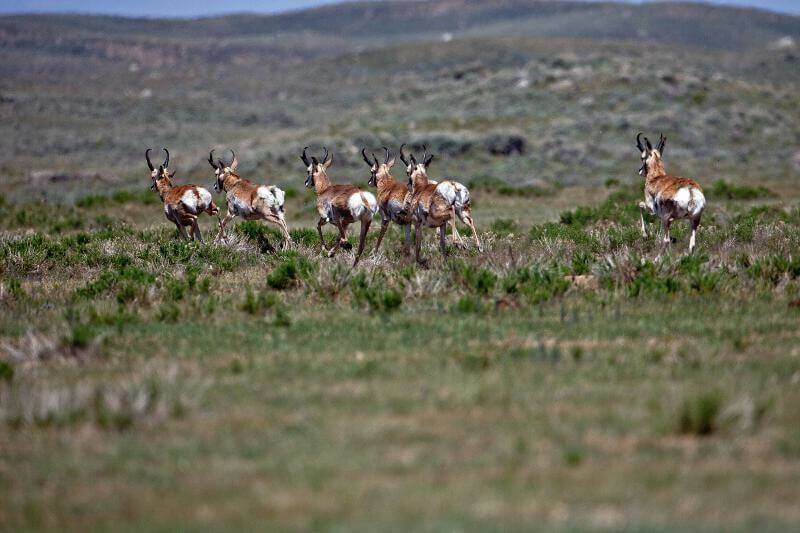 These tips will help you know what to expect of this wildlife encounter. Choose What Time of Day Works Best for You (Usually Dawn or Dusk). If morning people, go with a dawn tour; if not, stick with one at dusk. And have a camera at the ready all the way through to the very end of the tour. Animals are especially active at dawn and at dusk. Check the company website to see what is recommended for clothing. Most encourage that guests wear long pants, closed toed shoes, and bring a jacket. Shorts or capris are appropriate for summer months. Most companies use open air vehicles and pair up groups. For private tours or more personalized service, private vans are available. So dress accordingly as temperatures fluctuate. Layers are key! 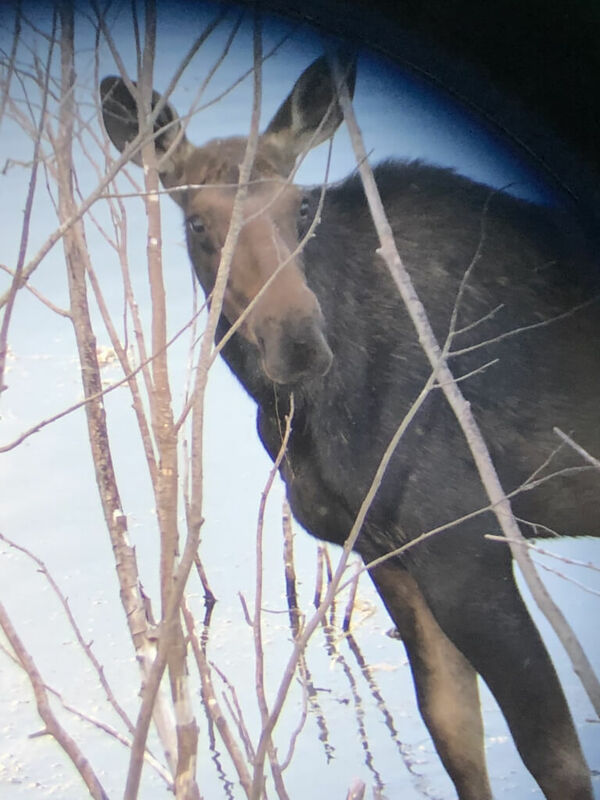 Expect to See Some Wildlife…But No Guarantees. While safari goers will most likely see wildlife, keep in mind it IS wild animals, not animatronics. There are no guarantees on what species will be seen. Actually, that’s part of what makes the experience so exciting! Guides do communicate via radio with one another on sightings, so that helps everyone to share in the wildlife spotting. 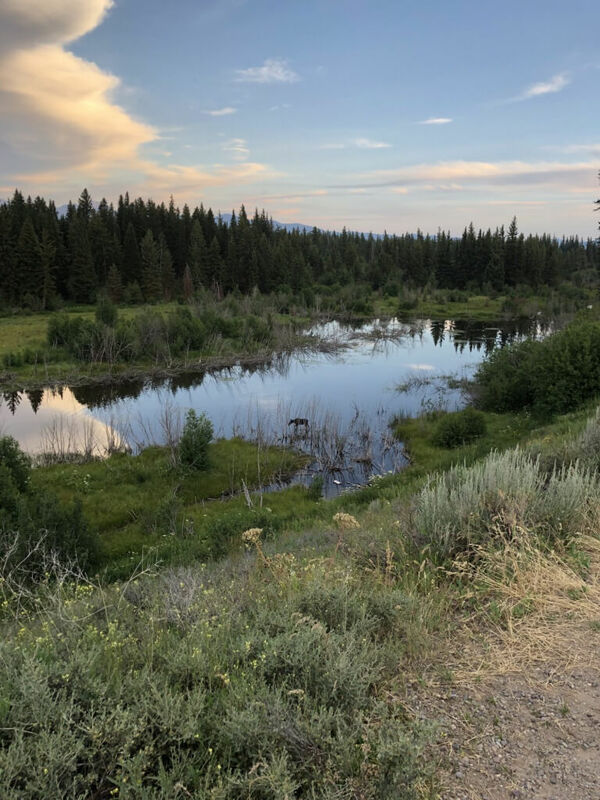 Some of the potential animals include elk, moose, mule deer, pronghorn, bison, bighorn sheep, grizzly and black bear, and wolves can all be seen within the park boundaries. Be prepared to use the tools of the trade. Binoculars and spotting scope are tools of the tour during a wildlife safari. It may just mean glimpses of animals like wolves or bears, but still exhilarating! Know What’s Included and What’s NOT. Read the fine print to see what’s part of the tour and what costs extra. Most tours include snacks and refreshments; some dawn tours include breakfast and all day tours usually include meals. However, many do not include the park entry fee. The park entry fee is $20.00 per adult (16 and up), good for seven days. Guests who have a “Golden Age Pass” or an “Interagency Park Pass” can use these passes on the tour. Park passes can be purchased at the park entrance during the tour. Recommended guide gratuity is also not included and roughly 10-15% of the tour price.